What kind of and which social networks do you use? If you are one of the regular marketers, then you are surely using the larger and more popular networks such as Facebook, MySpace, and Twitter. 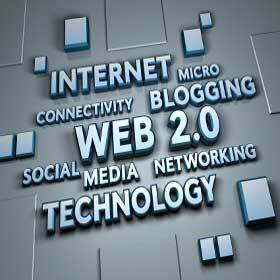 Well, there is nothing wrong with starting your Web 2.0 marketing campaigns with these networks. However, it is worthy to consider going after smaller, niche-based networks, too. Today, there are a lot of niche-based social networks you can find. For instance, there is ActiveRain, a social network exclusively for real estate professionals. There are also networks focused on internet marketing, aviation, golf, and virtually any topic you can imagine. Why should you join niche networks? One of the biggest benefits you will find is that everyone on these networks is a potential customer. This is especially true if you sell business-to-business products or services. While you and your fellow members are both professionals, you can rest assured that there will be people there who will need and appreciate the products and services you provide. Use the above strategies at attract members, provide them with valuable information, and when the time is right, you can start selling your products to them.